“We have too many academic fields in Poland and they should be compressed,” said Jarosław Gowin in an interview with Polish broadcaster Polsat News. The statement came as a justification for the newly proposed classification of academic fields, as part of a new minister’s ordinance. The ordinance, which will be discussed by a parliamentary commission next month, sets out to introduce a new makeup of academic fields, aiming at reducing the current list. The new classification is based on a list of the Organisation for Economic Co-operation and Development (OECD). According to the justification of the ordinance, scores of the current fields are too specific and are represented by an insufficient number of researchers or academic institutions. Mr Gowin believes that successful lobbying by self-interested members of academia has led to an unjustified formal expansion of certain disciplines. In consultation phase, the ordinance was opposed by representatives of various academic circles, those which will now be subsumed in broader fields. The most vocal group were astronomers, as astronomy would no longer be a separate field but a part of physics. Polish astronomers rushed to draft a petition, which was signed by almost 8,000 people within only two days, requesting a revision of the decision. “Removing astronomy from the list of academic fields will, in the long run, lead to a decrease in expenditure on astronomical research, the downgrading of astronomical institutions to lower categories in the universities’ administrative structures, the risk of astronomy disappearing as an independent major, no doctoral students (doctorates would be awarded as part of physics). All of this will result in a marginalization of astronomy and the loss of position that Polish astronomy has attained in the world”, read the petition of the Polish Astronomical Society. 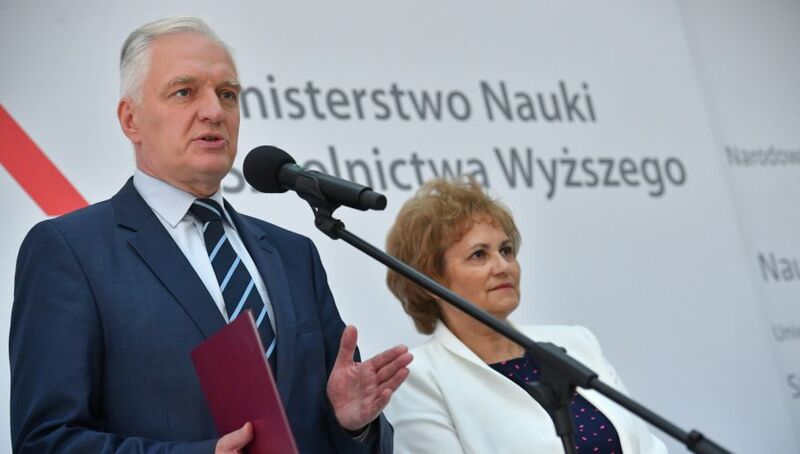 Minister Gowin himself admitted that the case of astronomy is different as it is a successful and thriving field of Polish academia and Polish astronomers are widely regarded as some of the best in the world. According to Mr Gowin, however, the fact that astronomy will cease to be a separate field does not mean that it will cease to exist. He added that the draft is still in consultation phase and asked astronomers for patience as the final decision is yet to be made. The new ordinance will reduce the number of academic fields from 102 to 42. Many disciplines, such as astronomy and history of art, are to be stripped of their status. Among the fields that are to retain their status as a separate academic discipline is, for example, canon law.